A boat ride along the Bosphorus is one of the most enjoyable ways to see the sprawling, magnificent city of Istanbul. From the ferry’s vantage point, you’ll see landmarks like the Dolmabahçe and Çırağan palaces; Ortaköy Mosque, perched right on the water’s edge; and exquisite waterfront mansions, called yalıs, that were summer homes for the Ottoman elite. You’ll also pass under the waterway’s two suspension bridges, which connect Asia and Europe. While on board, sip a glass of Turkish tea and listen to the calls of the seagulls as you contemplate this beautiful meeting of two continents. Before the era of indoor plumbing, going to a hamam, or public bath, was a central element of Turkish life. Today many beautiful centuries-old hammams are still in use, by both locals and tourists. In the hammam’s steam room, you can relax on the heated marble platform in the center and rinse yourself at one of the marble washbasins. If you choose, you’ll also be lathered, scrubbed, and massaged by a hammam attendant, whose goal seems to be to remove every last dry skin cell from the surface of your body. You’ll emerge ultraclean, refreshed, and having taken part in an age-old Turkish tradition. Where but in Cappadocia can you sleep like the Flintstones while having all your creature comforts? Few of Cappadocia’s inhabitants still live in traditional homes carved out of the soft tufa stone, but in recent years the area’s hoteliers have been converting more and more of these “cave” dwellings into hotels, which range from basic inns for backpackers to upscale lodgings with plush furnishings, modern lighting, and fully equipped bathrooms, some even with Jacuzzis. Surrounded by Cappadocia’s magical landscape, tucked cozily into your cave room at night, you’ll feel almost as if you’re on another planet. Turkey is famous for its “whirling dervishes,” a sect of Sufi mystics, the Mevlevi, who believe that ritual spinning in circles will bring them to union with God. This trancelike whirling is just one element of the sema, a highly symbolic religious ceremony that also includes music and Koranic recitation. Despite the fact that these dervish ceremonies have become increasingly tourist-oriented in recent years, attending a sema can still be a powerful and mesmerizing experience. Seeing the dervishes whirl is one of the main draws of the festival commemorating Rumi in Konya each December; there are also regular dervish performances (although not all of them terribly authentic) in Istanbul and elsewhere in Turkey. One of the most popular and relaxing ways to experience Turkey’s Aegean and Mediterranean coasts is to take a Blue Cruise aboard a gulet, or wooden fishing vessel. Usually lasting several days (or longer), these cruises take passengers along the rugged coastline, with stops to visit ruins or villages. Away from the beach crowds, you’ll enjoy the simple pleasures of swimming in remote coves, eating fresh-caught fish, and sleeping on your boat in a wooded inlet. A trip to Turkey isn’t complete without sampling certain quintessentially Turkish beverages. You can barely go anywhere without being offered a glass of çay, or tea: the lubricant for every social and business encounter, it’s consumed in Turkey at one of the world’s highest rates per capita. The famous Turkish coffee, a thick, unfiltered brew made with extremely finely ground coffee beans, is in fact drunk far less often—primarily just on special occasions and as a digestive after meals. For something cold, try the ubiquitous ayran, a frothy, salted yogurt drink that’s a refreshing accompaniment to a spicy meal of kebabs. Another unique beverage is salep, a sweet, milk-based hot drink served during the winter months. And don’t forget to taste the anise-flavored national liquor, rakı. Taking a trip in a hot-air balloon is a thrilling way to see the amazing scenery of Cappadocia; for many people this is a highlight of their visit to the area. As your balloon follows the natural contours of the terrain, you’ll look down into scenic valleys and sail right past “fairy chimneys” and unusual rock formations that seem almost close enough to touch. Flights leave at dawn, when the air is calmest and safest for flying, and end with a champagne toast. With so many civilizations having occupied the land that is now Turkey, it’s no surprise that the country is sprinkled with ancient ruins. The remains of Roman and Greek cities, with their impressive theaters, temples, stadiums, and colonnaded streets, compete with even older sites dating back to the Hittites. From beachside Patara and Olympos, to Termessos high up in the mountains, to the inland Aphrodisias, each spot is uniquely picturesque. At the best-preserved sites like Ephesus and Troy, you’ll be among many visitors marveling at the ruins, but at places that are more off the beaten path, you’ll be free to wander and explore with virtually no one else around. Taking an intercity bus in Turkey is a lot like taking an airplane in other countries. Since most Turks travel this way, bus terminals are as heavily trafficked as airports, and house a myriad of different companies with buses departing around the clock for every corner of the country. Seats are assigned, with unrelated males and females usually not seated together. During the ride, a uniformed bus attendant will regularly come around distributing snacks, water, and tea and coffee for no extra charge; he’ll also offer you lemon-scented cologne to refresh your face and hands. Long-haul buses break every few hours at a rest stop so passengers can smoke, use the toilet, or just stretch their legs. 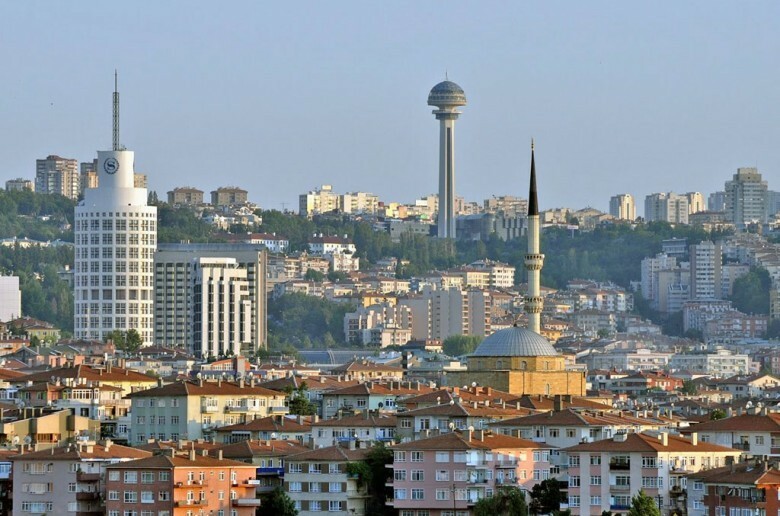 Turkey is a cultural crossroads where the world’s three Abrahamic religions have coexisted for centuries, and one of the most surprising things for many visitors is the way these religions are juxtaposed. Particularly in Istanbul, but in other places as well, you’ll see ancient churches and synagogues right around the corner from mosques. This is an excellent opportunity to learn about different religious traditions as you listen to the Muslim call to prayer, visit Istanbul’s Jewish Museum, or gaze at Eastern Orthodox iconography in a Byzantine church.